What Are The Sounds That Make Your Idaho City Home? Floaters drift down the Boise River on a July day. On a hot summer day, the sounds that echo through Boise State Public Radio's windows along the Boise River are the shrieks and squeals of floaters drifting downstream. A mini-rapid is right in front of the newsroom, and it's at that spot where floaters tend to get a healthy dose of cold river water. 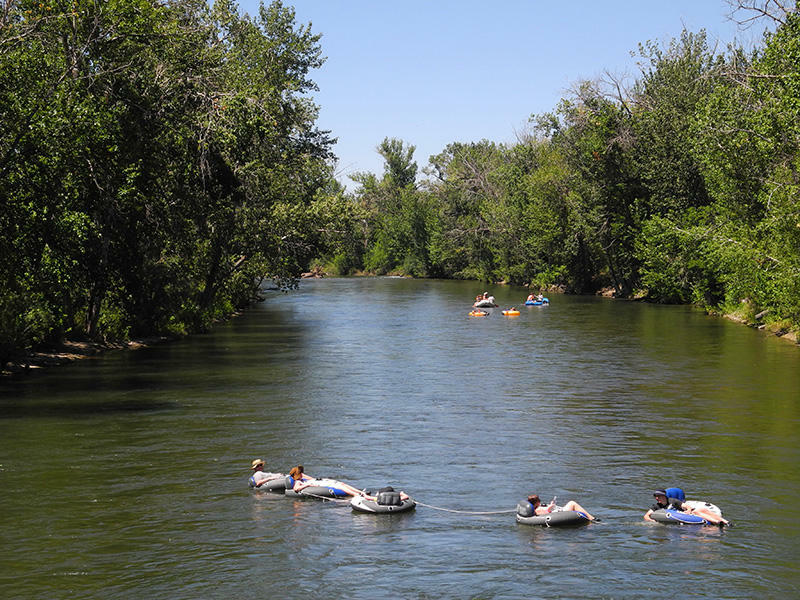 Their giggles, shock-induced screams, and mild expletives mixed with the constant churn of fast-moving water, are a lovely reminder of summer in Boise. It's a sound that likely defines Boise. Click play to hear the sounds of floaters drifting down the Boise River. We want to know what sounds define where you live or work. What are the sounds that make your neighborhood or your favorite hang-out spot unique? Is it the sound of kids playing at a nearby park? Is it a street performer on the corner at Farmer's Market? Is it the chatter at a local coffee shop? Maybe it's the sound of a baseball making contact with a wooden bat. We're on the lookout for the voices, sounds, and stories of our region for a series of on-air promotions highlighting southern and central Idaho. The Boise International Market is set to open its doors sometime in August. It will start out with 17 micro-businesses selling products from around the world. Developers hope to add more vendors soon after it opens.